The recent appointments by President Muhammadu Buhari have sent shock waves across his party, why the rest of the nation watches in amazement. Amaechi was perceived as the cash cow and the arrowhead of the assault against former president, and kinsmen, Goodluck Jonathan. 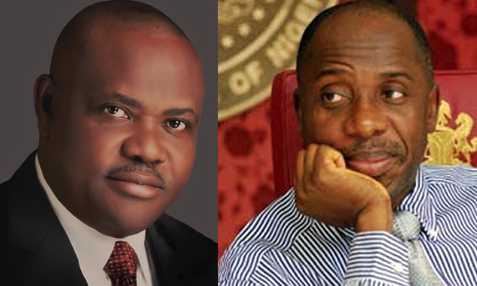 Pointblanknews.com gathered that the key factor that nailed Amaechi was a damning preliminary report of his stewardship forwarded to Buhari by Governor Nyesom Wike. Wike had constituted a seven man Judicial Commission of Inquiry headed by Justice George Omereji to investigate alleged sale of some state assets as well as the projects for which funds were allegedly released but not executed . Former deputy Governor, Ted Ikuru alleged that his former boss allegedly spent N812 million to furnish his private residence, adding that the former government also spent N4.96 billion on the proposed Justice Adolphus Karibi Whyte Hospital with no structures on the ground. It was gathered that even though Amaechi was being considered, forces within both parties averse to his appointments had lobbied some folks around Buhari to insist the President gets a preliminary report on the tenure of Amaechi. The appointments continue to elicit outrage against the backdrop of the lopsidedness of the picks. Even though those with him insist Buhari has made sterling appointments, with consideration to competence and experience, this group has not been able to defend the appointment of a retired army colonel, Hameed Ali, as Comptroller General of Customs. Amaechi was head of the fund raising committee for his party, helped raise tons of cash, and almost emptied his state’s treasury for the emergence of Buhari. First, the speculation was Amaechi could be picked to be the Vice Presidential candidate, then Yemi Osinbajo came. Next, he was promised either Secretary to Government or Chief of Staff. Pointblanknews.com sources hinted that Amaechi was two weeks ago screened by the Department of Security Services (DSS) for the position of SGF. Shortly after the screening, a dinner was organized in his honor in port Harcourt. It was gathered that despite pleas from his men and some close to Buhari that he would be given a ministerial appointment, Amaechi insisted he would not accept anything less than SGF after being governor twice.